Run, do not walk, to John Moreland's Bandcamp page. See? I put the link in the first line for you. So now you don't even have to read the article! In The Throes is a surefire bet for the top 10 of 2013 on just about every music blog you most likely read. In The Throes is every bit as hard-hitting as Moreland's previous entry, Everything The Hard Way. This time around, Moreland is a little less rockin', a little less angry, and a little more sad. I guess you could say that the perspective on this album is more mature, but I refuse to think that getting older means replacing defiance with sadness. I read elsewhere that Moreland was heavily influenced by Mellencamp, and that influence is certainly part of what draws me to him. But at the end of the day, it's Moreland's timeless melodies and sharp-as-a-tack lyrics that get me every time. Most of Moreland's songs are about failure and defeat, but In The Throes is a triumph. Most artists would give anything to write even three songs like Moreland's, but he keeps cranking out album after album of them. Perhaps "Nobody Gives a Damn About Songs Anymore," as he mourns on the second track, but each of these tracks ring of truth. Intensely personal, Moreland's darkest moments are instantly relatable. And if that's not The Truth, or something approaching to it, I don't know what is. 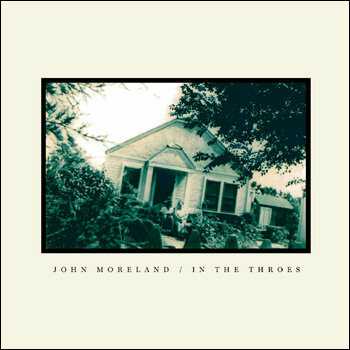 Moreland has a lot to celebrate with the release of this album. Keeping my fingers crossed for some more optimistic tunes as he continues to mature as a songwriter and a person. Because we'll be following along with him.